Greg Collette has been on dialysis, with brief breaks for two short-lived transplants, for 23 years. For the last 15 years he has dialysed five days per week. In 2009 he started the BigDandMe blog for people on dialysis. What began as a weekly note to a few hundred readers now has about ten thousand regular monthly visitors from 166 countries. In 2013, Greg designed the first Dialysis Early Warning iPhone App for dialysis patients and clinicians, to provide a day-by day indication of a patient’s condition, and patients with the confidence and tools to act to maintain their health and wellbeing. In 2016, he and Julie Tondello (now a B.Braun dialysis clinician) jointly wrote a paper Could Your Fistula Rupture , which was presented at the Renal Society of Australasia conference in Gold Coast, Queensland, and was awarded best paper of the conference. In August 2017, Greg worked with Swinburne University to develop a Holiday Dialysis Review website – a “Trip Advisor for dialysis”, so patients visiting other units can quickly rate the experience and so promote patient travel. Greg lives with his wife Julie in Melbourne. 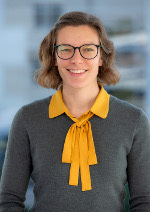 Mary Dahm works as a Research Fellow at the Centre for Health Systems and Safety Research at the Australian Institute of Health Innovation at Macquarie University. She is the project lead for a NHMRC-funded partnership project on improving test result management run in collaboration with the Australian Commission on Safety and Quality in Healthcare, NSW Pathology and Health Consumers NSW. Mary is driven by her commitment to conducting innovative, translational research at the nexus of applied linguistics and health services research. She received her PhD in applied linguistics and is particularly interested in studying the impact of health communication on diagnosis and patient safety. Her work also focuses on improving consumer engagement in health services research, drawing on her experience as a health consumer representative in Western Sydney where she was the first consumer representative dedicated to Women’s and Newborn Health at Westmead Hospital, Sydney. 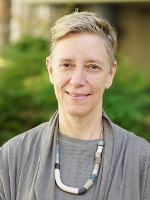 Andrea Rita Horvath is Clinical Director of the Department of Clinical Chemistry and Endocrinology, conjoint professor of the University of New South Wales and honorary professor of the University of Sydney. 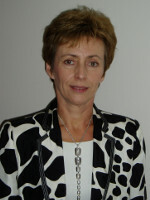 Rita was president (2010-2011) and past president (2012-2013) of the European Federation of Clinical Chemistry and Laboratory Medicine and founder and past chair of the Test Evaluation Working Group of the Federation. For six years (2003-2008) she chaired the Committee on evidence-based laboratory medicine (EBLM) with The International Federation of Clinical Chemistry and Laboratory Medicine (IFCC). Rita was vice chair of the EBLM Committee of the American Association of Clinical Chemistry (AACC). Rita was a founding member of the Australasian Association of Clinical Biochemistry’s working party, on harmonization of critical laboratory results and member of the point-of-care Troponin working party. Rita is one of the senior editors of the 6th edition of the Tietz Textbook of Clinical Chemistry and Molecular Diagnostics. Jill Klein is a Professorial Fellow in Medical Education, Melbourne Medical School and Professor of Marketing at Melbourne Business School. 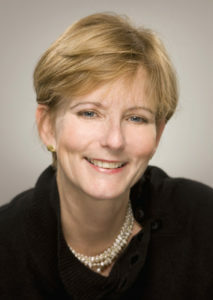 Jill received her PhD in Social Psychology from the University of Michigan in 1990. She then joined the faculty in the Marketing Department at Kellogg Graduate School of Management, Northwestern University. From 1997 through 2008 she was on the faculty at INSEAD. She joined Melbourne Business School in 2009, and Melbourne Medical School in 2015. Jill teaches Clinical Decision Making, Leadership and Resilience. Her research interests are medical decision making, junior doctor resilience, and medical student well being. She has published widely, including in the British Medical Journal and Harvard Business Review. She authored the book, We Got the Water: Tracing My Family’s Path Through Auschwitz. Jill plays soccer regularly and plans to continue to do so until her knees give out. Michelle Leech is Head of the Medical Course Monash University and Deputy Dean at the Faculty of Medicine, Nursing and Health Sciences. Professor Leech is a Consultant Physician at Monash Health, where she is Deputy Director of Rheumatology. She is the outgoing chair of the Clinical Examination Committee of the Royal Australasian College of Physicians National Exam Panel of the College of Physicians. Michelle was the Medical Director of Arthritis Australia in 2014 and continues as a member of the Scientific Advisory Committee and on the Grants assesssment committee of Arthritis Australia. She joined the NHMRC Assigners Academy in 2015. 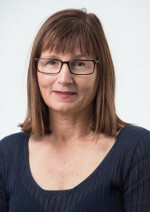 She is the Executive Treasurer of Medical Deans Australia New Zealand, Deputy Chair of the Board of the Post-Graduate Medical Council of Victoria and Chair of the Medication Safety and Therapeutics Committee at Monash Health. Art Nahill, MD, FRACP is an American trained internal medicine physician who has been living and working in New Zealand since 2005. He is a co-host and producer of the podcast series IMreasoning which examines issues of diagnosis and diagnostic error. 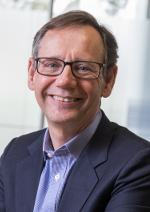 He is currently the Director of Education for General Medicine at Auckland Hospital and is a former recipient of the Dennis Pickup Clinical Educator Award from the University of Auckland Faculty of Medical and Health Sciences. He is a published poet and his first book of poems entitled "A Long Commute Home" was published in 2014. David E. Newman-Toker, MD PhD is an internationally-recognized leader in neuro-otology, acute stroke diagnosis, and the study of diagnostic errors. He is Professor of Neurology, Otolaryngology, Ophthalmology, and Emergency Medicine at the Johns Hopkins University School of Medicine. He leads the Armstrong Institute Center for Diagnostic Excellence whose mission is to catalyze efforts to improve diagnostic performance, develop the science of diagnostic safety, and enhance diagnostic research. Dr. Newman-Toker is a bedside-to-populations translational researcher and has held multiple NIH, AHRQ, and foundation grants. 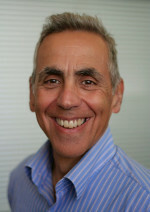 He has published over 100 journal articles and given more than 200 invited lectures on dizziness and diagnostic errors. 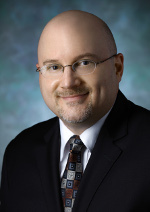 He currently serves as President-Elect of the Society to Improve Diagnosis in Medicine (SIDM) and as well as Chair of SIDM’s Policy Committee. Lisa Sanders is an internist on the faculty of Yale School of Medicine and teaches in the Primary Care Internal Medicine residency program there. She created and writes the biweekly Diagnosis column for the New York Times Magazine. Her column was the inspiration for the hit television series House MD and she was an advisor for the show. These days she is working on a documentary series based on her column to be aired on Netflix in 2019. Lisa is also the author of the New York Times best seller, Every Patient Tells a Story: Medical Mysteries and the Art of Diagnosis. Before Sanders came to medical school she was an Emmy award winning producer for CBS News. 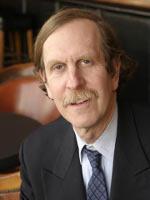 Gordon Schiff is a practicing general internist and Associate Director of Brigham and Women’s Center for Patient Safety Research and Practice, Quality and Safety Director for the Harvard Medical School (HMS) Center for Primary Care and Associate Professor of Medicine at HMS. He has published widely in the areas of medication and diagnosis safety and was a reviewer and contributor to the 2015 National Academy of Medicine (IOM) Report Improving Diagnosis in Health Care. He is PI of a recently completed 2 year project studying both inpatient and outpatient diagnostic pitfalls. 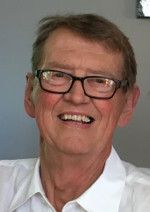 He was recently awarded a grant from the Gordon and Betty More Foundation to create a multifaceted research learning network PRIDE (Primary-care Research in Diagnosis Errors) to study and improve diagnosis and develop principles for more appropriate and cost- effective diagnosis. 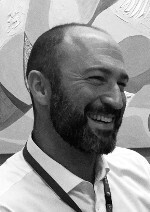 Nic Szecket, MD, FRCPC, FRACP, MPH is a general internist who has been living and working in New Zealand since 2010. He completed his training in internal medicine at the University of Toronto, and went on to do his masters in public health at Johns Hopkins. He co-hosts and produces the podcast IMreasoning, which addresses themes in diagnosis, diagnostic error, and metacognition.